A valid and peaceful way to rid the U.S. Senate of usurpers who violate their oath's of office by voting for unconstitutional and fiscally irresponsible legislation is "recall." There are 18 states who have recall provisions in their state constitutions. Some nine states specifically allow the recall of all elected statewide officials. Additionally, some states' constitutions name members of Congress. There are about 14 U.S. Senators that can be recalled by their states according to this process, which usually involves collecting signatures from a percentage of those who voted in the previous election. If enough signatures are collected, then the state must hold a recall referendum or call an election. New Jersey is one such state. The New Jersey Constitution states, "The people reserve unto themselves the power to recall, after at least one year of service, any elected official in this state or representing this state in the United States Congress. The Legislature shall enact laws to provide for such recall elections." Now the people of New Jersey have started a recall of Democratic Senator Robert Menendez. 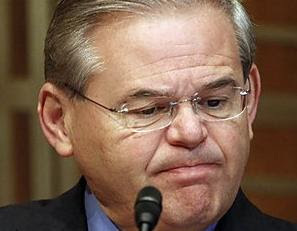 When it was begun, the Democratic controlled state government said that the state's constitution was unconstitutional and that Menendez was not able to be recalled. Menendez had over 50 lawyers representing him, and they claimed that the people of New Jersey had no right to criticize his representation. Now the matter has gone to the Superior Court of New Jersey. The American Civil Rights Union (ACRU), an organization dedicated to defending Constitutional rights, has weighed in with an Amicus Curiae brief - which means it is supporting the individuals who are attempting to recall Menendez. The brief references the recent U.S. Supreme Court decision against the McCain-Fiengold prohibitions on corporations and unions from criticizing a candidate, saying that "Speech is an essential mechanism of democracy, for it is the means to hold officials accountable to the people." ACRU argues that McCain-Feingold embodies Senator Mendendez's "claimed freedom from criticism." This New Jersey court case is important because it could act as precedence for every state to exercise recall - and that could change America for the better. Colossians 2:8 says, "Beware lest any man spoil you through philosophy and vain deceit, after the tradition of men, after the rudiments of the world, and not after Christ." These are days that we must exercise our God-given rights, as the Founders put it, to "Life, Liberty and the pursuit of happiness." It starts with righteously removing evildoers from public office. As Christian Americans we have a say in how we are governed. We have been asleep at the switch far too long, it is now time to repent and correct our weak occupation of our nation.